We just recently released an updated design of our home pages to make it easier for the public to get answers to their top government questions. The new structure, content, and look and feel are based on data from top searches and analytics, top questions to the call center, and user behavior learned during usability testing. We’ve discussed our rebranding efforts over a series of blog posts — from the initial research, to choosing our name, to creating a logo. This final installment talks about where we go from here. 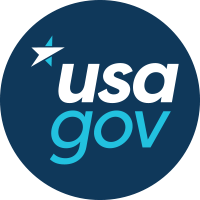 At USAGov, we’re taking a close look at Kids.gov -- a long-standing site focused on providing information and resources to parents, teachers, and kids. Our cross-functional team has joined forces to “reenvision” the site’s content and presentation to be sure that we’re doing our best to meet the needs of our current audience. About a year and a half ago, the Federal Citizen Information Center - today called USAGov, embarked on a very ambitious task: integrating our content operations. We blurred lines that defined silos and adopted a bilingual content approach to offer a more consistent experience, regardless of language preference or point of access to our information. See more about our rebirth.